SCOTTSDALE – Carlos Sugich saw a golden opportunity to represent the Hispanic community at the Waste Management Phoenix Open. Sugich, the first Hispanic chairman of the tournament, created a Spanish-language website for the Phoenix Open to expand its reach toward Hispanics. Known as “The Greatest Show on Grass,” the tournament is in a prime location to appeal to Spanish speakers. According to the U.S. Census Bureau, nearly 31 percent of the population in Arizona is Hispanic. In addition, the Phoenix Open attracts many fans from south of the border. Hispanics account for 18 percent of the nation’s population but only 11.8 percent of all golfers, according to a National Golf Foundation study. Increased awareness could have an economic impact, too. Spending by the Hispanic community is on the rise, according to the 20th edition of the Arizona Hispanic Chamber of Commerce’s “DATOS: The State of Arizona’s Hispanic Market” report. Latinos in the state spent $38.3 billion in 2014 and projected to spend $49.2 billion in 2019. Alvarez and Sugich, who both belong to the Thunderbirds, the charitable group behind the Phoenix Open, hope the website is just one step in continuing to grow the game with Hispanics. The Thunderbirds are involved in First Tee and Junior Golf, two opportunities that are aimed at welcoming more Hispanic kids into golf. Just four golfers from Spanish-speaking countries are in the top 100 in the World Golf Ranking, headlined by Arizona State alum Jon Rahm and Sergio Garcia, who both hail from Spain. Fabian Gomez, an Argentinian who is a part of this year’s field, has used social media to connect to young fans of the game and make his mark in the Hispanic golf community. The presence of some players on the PGA Tour has been another big reason why the sport has attracted those in Spanish-speaking countries, Sugich said. Feedback on the website have been positive, Sugich said. The PGA saw it as a great idea and an effective way to increase the tournament’s reach in the Hispanic community. 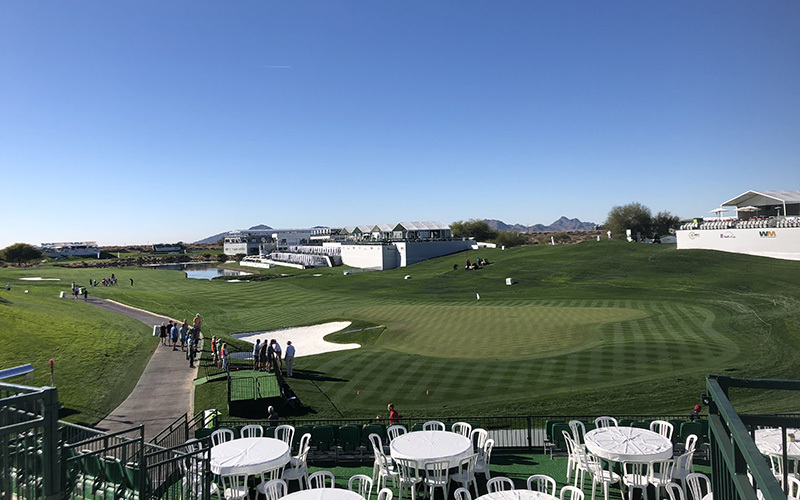 Going forward, Sugich is optimistic that the new website will be a major stepping stone for the Phoenix Open to take initiative in making the game of golf even more popular among Hispanics.